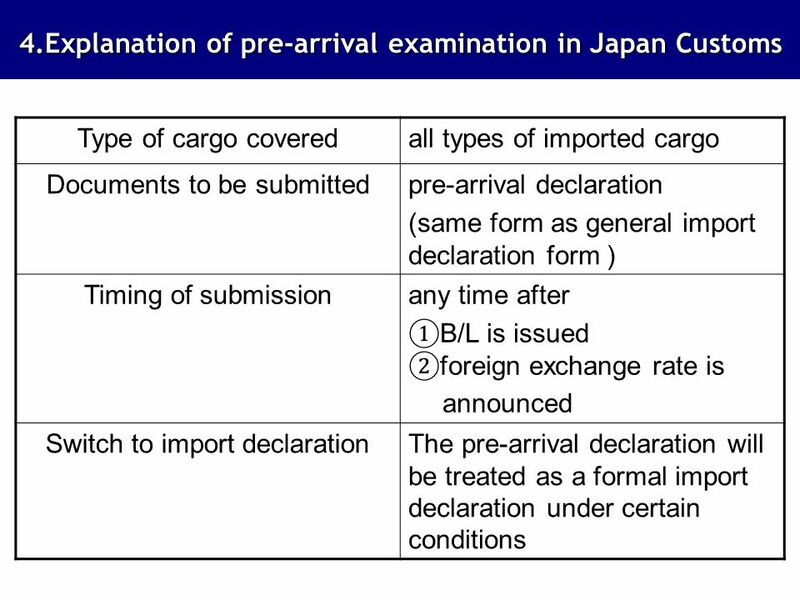 1991 : Pre-Arrival Examination In principle, import declaration may be filed to Customs only after the arrival of goods to the bonded warehouse. 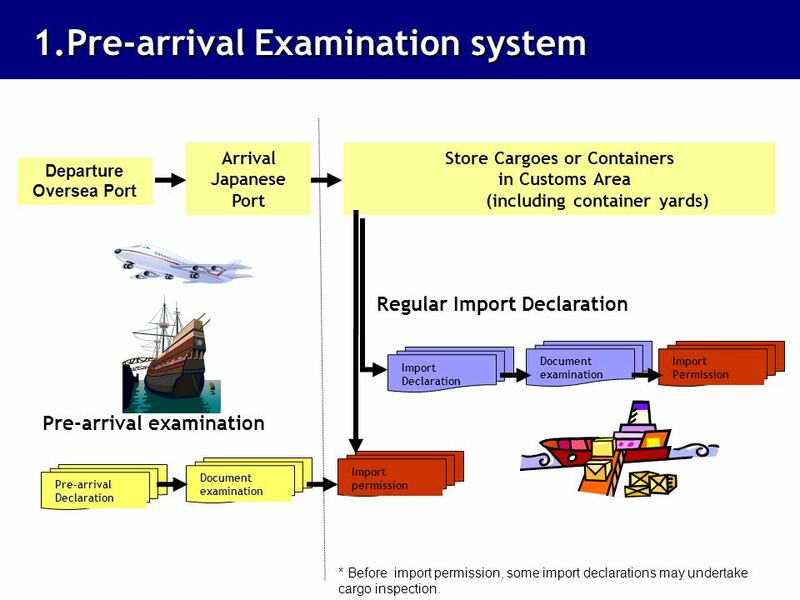 Since 1991, Customs accepts import declaration and relevant documents for preliminary examination. 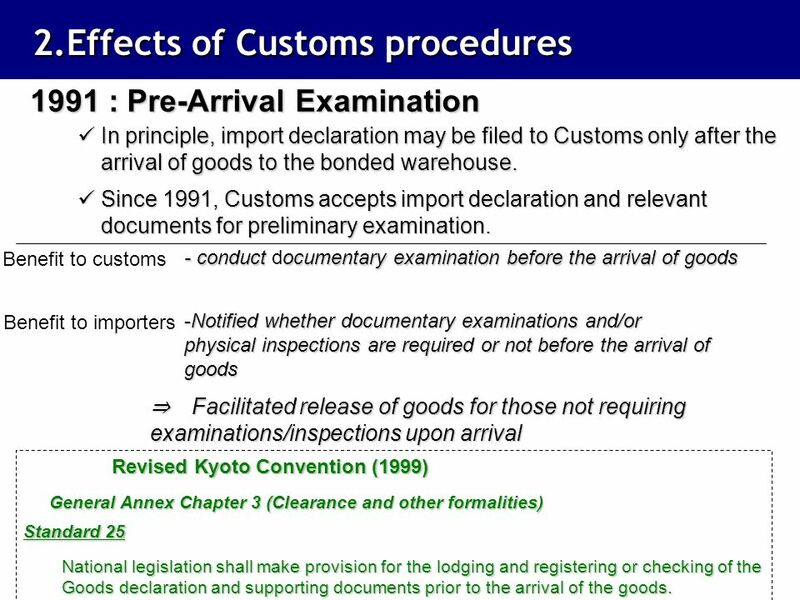 Benefit to customs - conduct documentary examination before the arrival of goods Notified whether documentary examinations and/or physical inspections are required or not before the arrival of goods Benefit to importers ⇒　Facilitated release of goods for those not requiring examinations/inspections upon arrival Revised Kyoto Convention (1999) General Annex Chapter 3 (Clearance and other formalities) Standard 25 National legislation shall make provision for the lodging and registering or checking of the Goods declaration and supporting documents prior to the arrival of the goods. 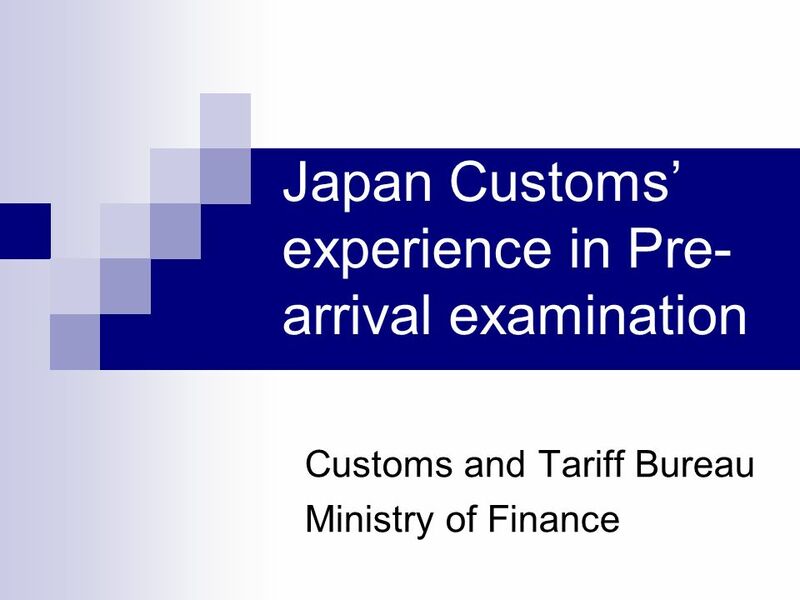 Download ppt "Japan Customs’ experience in Pre-arrival examination"
WTO Trade Facilitation Self Assessment of Needs – Bangladesh WTO Trade Facilitation Self Assessment of Needs – Bangladesh Needs for Implementing of WTO. 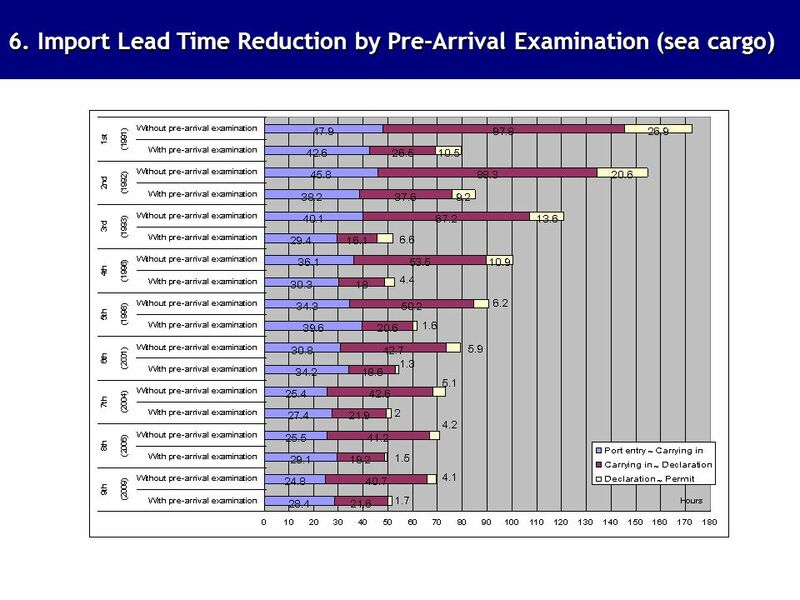 An increase in the number of classification disputes Complaints by importers and exporters of inefficiencies in the classification process There was a. SYMPOSIUM ON WTO TRADE FACILITATION FOR AFRICAN COUNTRIES, NAIROBI, KENYA NOVEMBER , 2012 Best Practices in Trade Facilitation: Nigeria Customs. 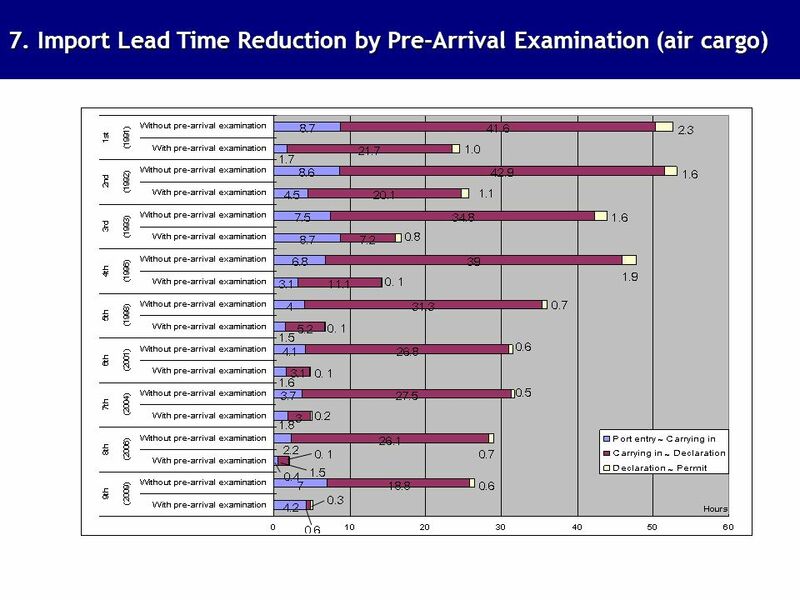 On the Customs front, massive changes have taken place under the Customs Modernisation Programme which was launched two years ago. As with Revenue, Customs. Tilde Publishing and Distribution ISBN: Import/Export Mapping International Trade for Australian Business International Transport. 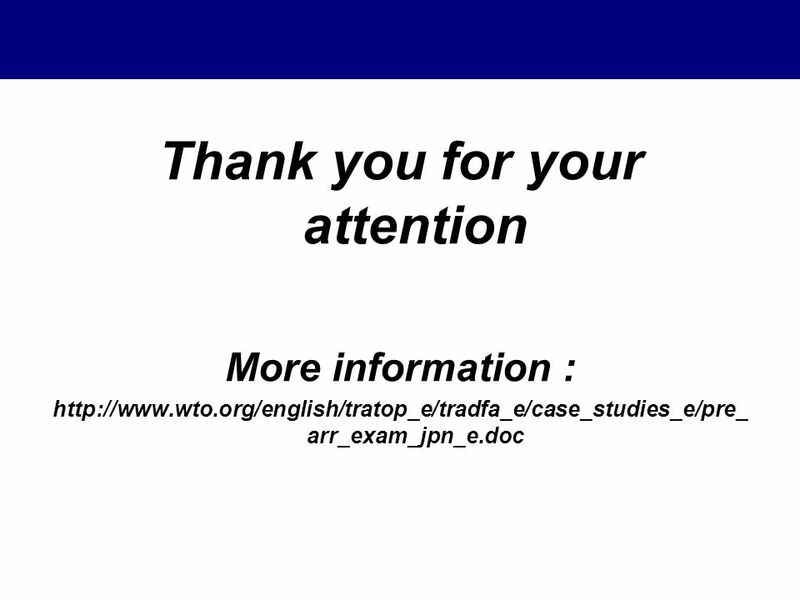 Role of Customs in Trade Facilitation Ramchandra Man Singh 1. IFC Western Balkans Trade Logistics Project T RADE F ACILITATION ON D ANUBE AND S AVA R IVERS. WCO Time Release Study Regional Training Workshop on Trade Facilitation, Infrastructure and Trade Costs Policies in ESCWA Region 8-9 April 2013, Dubai. TRADE. Bringing Practical Tools To Trade Development and Integration In Europe, the Caucasus and Central Asia. Geneva, May 2009 Trade Facilitation: An Introduction.